Canberra’s most trusted dog kennels and cattery. A family owned and run Dog Kennels & Cattery servicing Canberra and surrounds, only 5 minutes from Hall ACT. Effective May 1 – 30 September 2019, there will be an additional $2 per day on all dog kennel bookings. This is to cover the cost of heating the kennels throughout the Canberra Winter. The kennel will be closed from 31 October to 20 November 2109 so that we can take a break before the silly season. The Christmas dates for this year are last drop off day the 23rd of December 2019 and the first day open to the public again is January 2nd 2020. 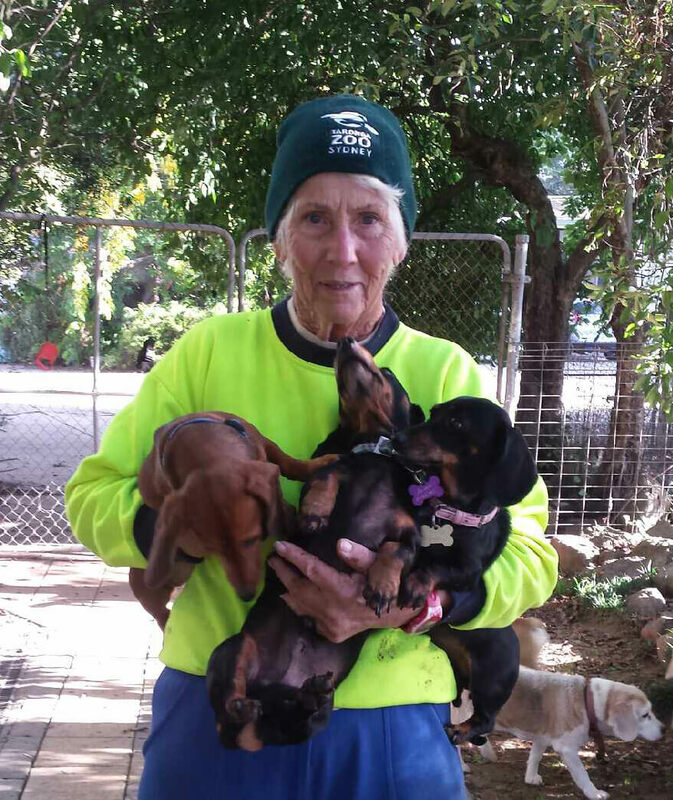 Fran has single-handedly built up the Dog O’tel for over 40 years. The Dog’otel & Purrrfect Cattery – Dog Kennels & Cattery in Canberra is more than a business; it is her home. Not only dogs and cats have a place in her heart, but other creatures too, such as birds and the beloved kangaroo. She has nursed many an injured joey back to health. Kel is the eldest son and grew up on the property. Growing up Kel was into polo cross and his love of horses continues today. He is the operations manager of the Dog Kennels & Cattery and is a no nonsense kind of guy. Kel loves all animals, particularly dogs. Whether he likes it or not, he has an affinity with them that no-one can deny. This mother and son combo know their stuff. They have been around the traps longer than most and seen it all. They approach animal care with kindness and common sense. So, do yourself a favour and more importantly, do your pet a favour and book a stay at the Dog O’tel Dog Kennels & Cattery. As of the 1st of May there will be a $2 per day per kennel charge applied to cover heating costs throughout the cooler months. Just letting you know, Strider [our dog] passed away a few nights ago at home. He had us and the girls with him and he was comfortable and safe inside the house. Thank you for all the care you gave him over the years during his many stays at the kennel, especially the past 12 months when his health had started to deteriorate. He was always very excited whenever heading out for a holiday at the kennel and I’m sure always planning a bit of mischief to give you a good laugh. My Pitt Bull Jerry always loves his stay with Fran and Kel. They understand his needs and recognise that although he may look big and tough he is really just a big mama's boy! Jerry gets to run around a couple of times a day and make friends when he stays at Dog'otel. It really takes the stress out of leaving him when I know that he is well looked after by professionals who do not have preconceived ideas about his behaviour. As the owner of two greyhounds there is nothing more pleasing than giving greys an opportunity to really stretch their legs in a safe and secure environment. The Dog O’tel holds organised Saturday morning ‘zoomies’ sessions for greyhounds so they can extend themselves, play and socialise. The greys and owners have a wonderful time roaming around the puppy park and the greys romping in the dam. To read more, I wrote an article on ‘Canberra Zoomies’ in the ‘Greys Matter’ newsletter. It highlights the use of the puppy park and how fortunate we are to have a safe place to take our beloved greyhounds and take comfort in knowing that both Fran and Kel Harris support the rescue greyhound cause. We want to thank you for your care and special attention given to Beso and Coco, on this visit... From the moment we arrived with the dogs in the back and Frances saying "let's get these dogs settled – we can settle the admin later" we felt comfortable about them and their new home!... We will certainly use your facilities in the future.